Plants and Things USA structures operation is growing every year and one of the hottest items are our pergolas. Hybrid Big Sur pergola is a combination of maintenance free vinyl post with a natural wood top. We offer many post styles and the vinyl colors are white, clay or black. 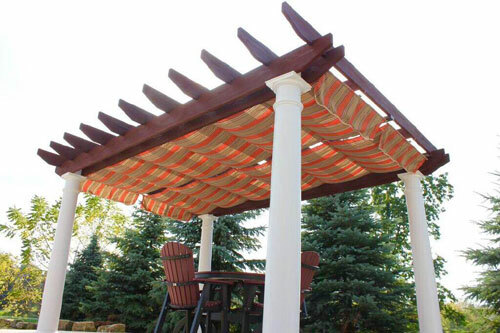 By adding the natural wood tops with the vinyl posts it gives the pergola a rugged elegant look and feel. Sizes available are 10′, 12′ and 14′ wide by 10′ to 20′ lengths.